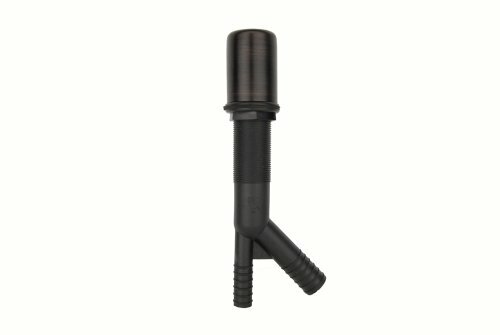 Uncompromising quality and functionality make up this Premier Air Gap in Oil Rubbed Bronze. It has a cap height of 2-3/8-Inch and an overall cap width of 1-3/4-Inch by 5/8-Inch. It has a dishwasher inlet and has an outlet that measures 7/8-Inch. It mounts in a 1-1/4-Inch to 1-1/2-Inch diameter hole. Can be used with thin or thick countertops. Maximum Deck Thickness measures 2-1/8-Inch. One countertop hole needed. Prevents draw back into dishwasher from garbage disposal or sink. Features a solid brass head and polypropylene body. If you have any questions about this product by Premier Copper Products, contact us by completing and submitting the form below. If you are looking for a specif part number, please include it with your message.